Welcome back. We are talking about TBIs this week, traumatic brain injuries. As I said in the last episode, if you listened, I prefer to differentiate TBI as a neurosurgicalized [inaudible 00:01:04]. To me, TBI meant you like split your skull or you had a drain in your brain. You were unconscious or in an induced coma or naturally induced coma. Dr Daniel Amen:	Falling down a flight of stairs. Tana Amen:	Flight of stairs, right. Whatever it is, even if you didn't lose consciousness or you lost consciousness and are going to the hospital. Now today we're going to talk about the fall out. Dr Daniel Amen:	What are things that are potential that could happen, if you've had a brain injury? As a psychiatrist, I had no idea. I'm an Army-trained psychiatrist, where head injuries were a big deal for the soldiers I was treating, when I was a resident. What research has come to believe, traumatic brain injury is a major cause of homelessness. That 58% of the homeless men and 42% of the homeless women in this study in Toronto, had a significant brain injury before they were homeless. Tana Amen:	I know we've talked about this a long time ago, but my mom had a really, really bad brain injury. Again, it was closed, but this one was bad. She had a brain bleed from her brain injury. She fell really hard on her face, cracked her teeth. She did a whole bunch of stuff, damage, big damage. She ended up having a brain bleed from it. She had a really bad concussion, and she owns a very successful business. For about that first year afterwards, it was really frustrating to her. For a little over a year, what she complained about was ... I mean, initially the initial part was just like severe headaches, severe fatigue. She couldn't wake up, just sleepiness. She had no energy and she had massive brain fog. The fallout, though, after that initial couple months was still she couldn't understand why she was still suffering from fatigue. She suffered with fatigue for the longest time, way longer than people think they're going to. Fatigue, crazy brain fog, and word dropping, like her memory with words. She could think of the image, but she could not think of the word to go with the image. She was word dropping. As it was so frustrating, she'd start crying. This really had an impact on her business. She saw the numbers drop. When we're thinking about something like homelessness, that's the extreme end of it, but it impacts people's finances dramatically. I mean it really hurt her business that year, because she couldn't show up. She couldn't show up as herself. 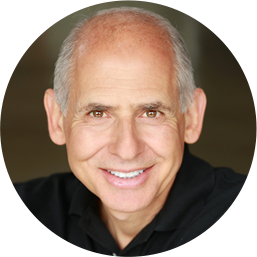 Dr Daniel Amen:	What is the organ in your body that manages your finances? Tana Amen:	Right, it's your brain. Dr Daniel Amen:	So any damage to your brain, either from a toxin or trauma, can impact your ability to make money. People go, "Oh, well I can't afford to come and get assessed." Tana Amen:	You almost can't afford not to be assessed properly. Tana Amen:	By the way, they sent my mom away from the ER saying she didn't even have a concussion, never did a CT scan. They didn't pick up the bleed, because it was a slow bleed. It didn't show up for ... Like probably, I think it was like a week. All of a sudden she was not acting right. We were the ones that sent her. I'm like, "My mom's not acting right. She's got to go back in for an MRI." All of a sudden, you could see the bleeding in the brain. They sent her out of there going, "You're fine." I'm like, "There is nothing fine with this woman. She had a severe concussion and a brain bleed." Dr Daniel Amen:	So many people go to the emergency room and their CTs normal. They go, "Oh, well you have a concussion. There's nothing you can do with it." Stay with us, because we're going to spend a whole lesson on what do you do for it. Tana Amen:	They know, because you always tell on me. Stop telling on my, okay? Stop. I'm gently doing it, so that no one knows, but then you tell on me. Why do you do that? Dr Daniel Amen:	'Cause you're kicking me. Tana Amen:	You can't move on until ... Because this is the part, having dealt with this with people that I know personally that I know is so frustrating. You're living it. You're doing the plan. You're thinking it should be getting better, but it's not. It takes longer than you think it should. Okay, so how long can it take? Not just like, "Oh, it could be better in a couple months." What is the other side of the spectrum? How long have you seen ... Like how long do people need to be patient for? Because it's hard. It's frustrating. I mean my mom it took probably 18 months before she started to really get it back. Tana Amen:	She was doing everything. Dr Daniel Amen:	... except the one thing that didn't happen until a little bit later is her hormones were all trashed. It's one of the things we've learned that your pituitary gland actually, the master of hormone gland in your brain, sits in a very vulnerable spot. Tana Amen:	This is common. Dr Daniel Amen:	It gets damaged. It gets jostled, and many of them are low. 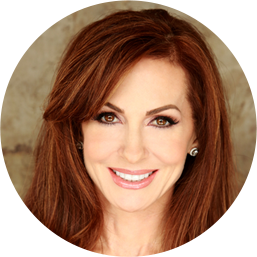 Hormone replacement can become critically important. Tana Amen:	She actually had to replace almost everything. Dr Daniel Amen:	What we always talk about here is you can't change what you don't measure. Tana Amen:	Then one of the other things, because we always talk about hyperbaric oxygen. Now in her case, she had to postpone that also, because if you have a bleed, you can't do the hyperbaric oxygen. Dr Daniel Amen:	You don't want to put the brain under pressure when you have a bleed. Tana Amen:	Not until it's complete healed, right? That postponed how soon she could do that. These are things that I think that people need to know why sometimes it can take so long, right? You've got to replace your hormones. Dr Daniel Amen:	So let's talk some more about the fall out. We talked about homelessness. We talked about financial ruin. What's the organ of relationships? It's not your knee kicking me underneath the table. It's your brain that can't wait until I finish talking. It's your brain, right? Having a traumatic brain injury can change people's personalities. It can seriously, negatively impact your relationships. Tana Amen:	Well, and you pointed out something really important. It doesn't just change your personality, because it affects your frontal lobes, which is huge or your left temporal lobe or whatever. Dr Daniel Amen:	90% of the time it affects your frontal lobes. Tana Amen:	But then that's huge, but it's also tanking your hormones. Think about a woman in menopause. Oh, boy, right, or a man who tanks his testosterone, now he's got no libido. That has an impact. Dr Daniel Amen:	No libido, no memory, no motivation, and no strength. Tana Amen:	That has a huge impact on your life. Dr Daniel Amen:	It certainly does. Suicide, there's actually a much higher incidence of suicide, depression, panic disorders, and addictions after someone has a traumatic brain injury. We are helping someone we love who's got an addiction issue. How many brain issues has she had? Tana Amen:	I don't know how many of them actually led to some kind of brain injury, but she's had 19 car accidents. I don't know how many of them were severe or not. I don't know, but it's a lot. Dr Daniel Amen:	I actually want to talk about and we'll do this on the next episode about the Irlen Syndrome. How common that is after you have a traumatic brain injury. I have one patient I saw who was wealthy, good-looking, incredibly successful. All of a sudden he wakes up one day and he starts having panic attacks. He goes to his family doctor, who gives him Xanax. Tana Amen:	I remember this. That begins to affect everything. Dr Daniel Amen:	That made him worse. Then he gave him Prozac. Now he's like suicidal. He called me and when we scanned him, I'm like, "When did you have a brain injury?" He goes, "What do you mean?" I said, "Your scan," just like I did with you showed, "You hurt the left front side of your brain. When did you have a brain injury." He goes, "Two weeks before my first panic attack." I'm like, "Oh, what happened?" He was mountain biking in the mountains around Los Angeles. Tana Amen:	It's a common one. Dr Daniel Amen:	He fell off his bike and broke his helmet, but never lost consciousness. Tana Amen:	He's thinking he's lucky. Dr Daniel Amen:	One of your mild traumatic brain injuries or what we now say a closed head injury. Damaged his front lobe, so you have low activity in the front part of your brain. Low activity in the front part of your brain, and then you give them a Benzo, Xanax, lowers activity further. Oh, that may not be a good thing. Prozac lowers activity in the frontal lobe, so two things to lower activity to the frontal lobes, and he's not sleeping. Three things lower activity in the frontal lobes. Tana Amen:	He's got like a half billion dollar company that he's trying to run. Dr Daniel Amen:	You like your glass of wine, now we have four things that lower activity in your frontal lobe. No wonder you can't inhibit the bad thoughts you now have. It puts you at great risk for suicide. I'm like, "We have to repair this." When we repaired it, he did so much better. You can just see, because most psychiatrists, family practice doctors, internists, OBGYNs, never look at the brain. They're prescribing these powerful medications that change the brain, and they're not dealing with the original problem. Tana Amen:	Yeah, and as we talk about fall out, we often talk about everything through the four circles, bio, psycho, social, spiritual. As we're talking about this, you beginning to see why people get depressed. Why they become suicidal. It's not just affecting just as through your frontal lobes weren't enough, but it's not just your frontal lobes. It's your hormones. It's your relationships. All of a sudden, it's your business. Everything becomes to be affected. Now it's like the sweater than unravels. Dr Daniel Amen:	Yeah, just one more story quickly is one of our friends, who's actually incredibly famous, sweet, and loving. Never could manage his money. When I scanned him, he clearly damaged his frontal lobes. Incredibly talented, but even in his 80s, he didn't have any money. I'm like, "Jay, did you ever have a head injury?" He said, "No." I'm like, "Well, are you sure? Have you ever fallen out of a tree, off a fence, dove into a shallow pool?" "No, no, no." "Ever in a car accident?" "No." Then he stopped. He said, "I'm so sorry. I lied to you." I'm like, "What? I've had this happen so many times." He said, "I was 19 years old. I was in a head-on collision. I wasn't wearing a seatbelt. My head broke the windshield. I was dazed. I actually lost sight for four hours. Do you think that counts?" I'm like, "Yeah, I think that counts." If your behavior, the behavior of someone you care about is not what you would want, this is so important to consider. Image if you can. If you can't, be on the rehabilitation program we're going to talk about coming up soon. Stay with us. Thank you for listening to the Brain Warrior's Way podcast. Go to iTunes and leave a review. 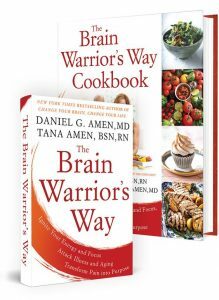 You'll automatically be entered into a drawing to get a free signed copy of the Brain Warrior's Way and the Brain Warrior's Way cookbook we give away every month.